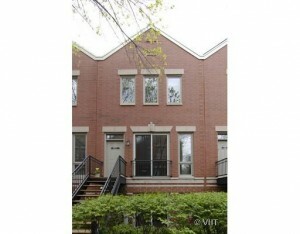 Exquisite home in Lakeview's most desired & beautifully landscaped gated community- Henderson Square. Home is immaculate & offers 3 floors of open living space, highlighted by huge windows & skylights, 2 beds, 2.5baths, plus landscaped patio on 1st floor, balcony on 2nd floor & private rooftop deck! A 2 car att. garage, new Andersen windows in master bedrm, & new paint! In Southport Corridor, close to el & shopping.